NOTICE: Sportspal models on this page may be shipped to your location; shipping costs must be added. Sportspal Canoes are manufactured from 32 gauge Aircraft Grade Aluminum, which is then stretch-formed, heat treated and hardened. The two piece hull is joined with solid rivets at the external keel and internal keelson, where the canoe is most reinforced. This makes Sportspal canoes very durable. 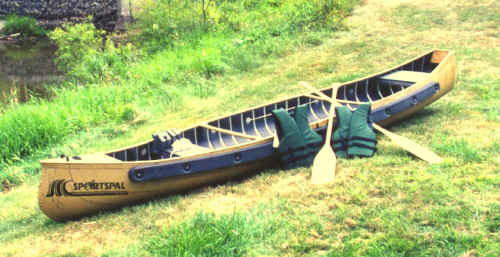 Unusual stability and safety make these fine canoes excellent for family recreation, fishing or hunting. Lined with closed cell ethafoam so they won't sink even if fully loaded with water. The special lining makes these canoes very quiet. 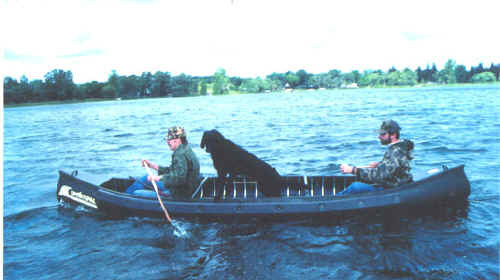 A duck hunters gun's recoil will not flip the Sportspal, and his dog can climb in and out for retrieving game. Being very light, it is easy to portage. And, of course, since you virtually cannot sink a Sportspal, all that valuable gear that sportsmen carry have less chance of accidental loss. 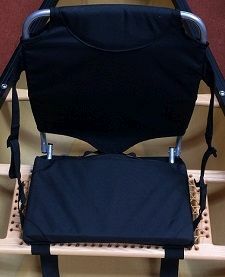 The Sportspal is designed to give year round use, adaptable to many sports activities. A wide flat bottom coupled with the side ethafoam sponsons makes Sportspal canoes the most stable canoes available. Sportspal canoes are made in the USA, and should not be confused with another canoe manufactured in Canada, whose hull is composed of thinner 22 gauge, softer (marine grade) aluminum. This competitor canoe has a seam on each end plus three exposed seams on each side where thin aluminum is then joined with screws and caulk. ✔ Sportspal Canoes are manufactured from ultra-light aircraft aluminum. 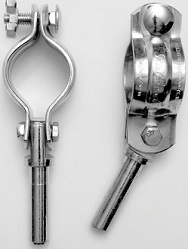 ✔ Hulls are stretch-formed and heat-treated for additional strength and eliminates the need for side seams. ✔ T-keel provides superior tracking and added strength. ✔ Wide beam and flat bottom makes Sportspal one of the safest canoes on the water. ✔ Ribs are extruded and add structural strength to canoe. ✔ Interior hull lining provides buoyancy, deadens noises and insulates against cold water. ✔ Side sponsons provides outstanding stability. ✔ Stock colors for all models; Birch Bark OR olive drab. Forest Green OR Red are also available. Colors available: simulated birch bark OR olive drab. Standard equipment includes two paddles, two stowable Foam Porta Seats, two side sponson foam collars, 2 carry handles and anchor rope cleat, and a set of oar lock sockets. ALL Sportspal Canoe prices shown here are PLUS shipping... Shipping prices here are an estimate. We'll confirm once we have your order/address. Standard equipment includes two paddles, two stowable Foam Porta Seats, two side sponson foam collars, carry handle and anchor rope cleat, and a set of oar lock sockets. 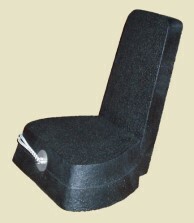 Buying an extra Foam Porta Seat for the center works well for rowing, a passenger or even solo paddling. more strict than US or Canada Coast Guards and much more strict than the 6" freeboard capacity rating most canoe manufacturers use. If rated by 6" freeboard, capacities and motor ratings would be higher but less realistic. Under this system, "Wide Transom" canoes are rated as "boats" and are therefore even more conservatively rated. Common sense would argue that these craft should hold more weight than a standard canoe but the fact is that all "canoe brands" are not rated by the same testing system under the same conditions.